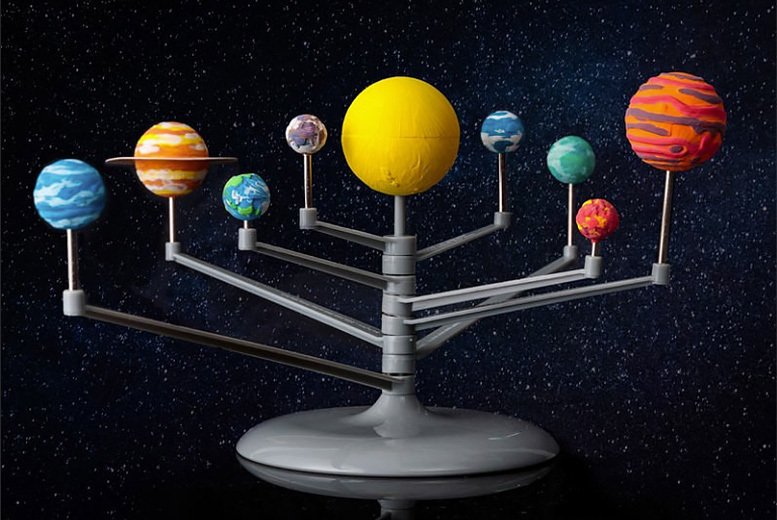 Build your own rotating model of the solar system! Features the sun and eight planets (sorry, Pluto!). All the parts easily snap together. Paint the whole set with glow-in-the-dark paints. Comes with a booklet full of fascinating space facts!